Dental sky - All about healthy smile: Do you need an apicoectomy? Do you need an apicoectomy? An Apicoectomy, or Root-End Resection, is the removal of the root tip and the surrounding infected tissue of an abscessed tooth. This procedure may be necessary when inflammation and infection persists in the area around the root tip after root canal therapy or root canal retreatment.Your teeth are held in their place by roots that extend all the way into your jawbone. Your front teeth usually have one root while other teeth like your premolars and molars may have two or more roots. The tips or the end of the roots are called the apex and this is where the nerves and the blood vessels enter the tooth. These nerves travel through the canal of the root all the way into the pulp chamber. The chamber is found inside the crown which is the part of the tooth that is visible in your mouth. During root canal treatment, the canals are cleaned and any inflamed or infected tissue is removed. An apicoectomy is necessary when infection develops and refuses to go away after a root canal treatment. 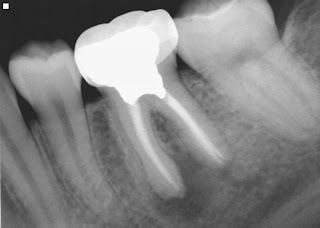 Root canals are very complex and they have several small branches off the main canal. There are times where even after root canal treatment; there will still be infected debris in the branches. This will prevent healing and may even cause more infections later on. In an apicoectomy, the root tip or the apex is removed along with the infected tissue. A filling is placed afterwards so that the end of the root is sealed. Apicoectomies are usually referred to as endodontic microsurgery since it is usually done under an operating microscope. Why would I need an apicoectomy ? If a root canal procedure was done in the past and your tooth still becomes infected then the problem may be near the apex of the root. In several cases, another root canal treatment is done before an apicoectomy. With the advances in technology, dentists will be able to detect other canals that were not treated properly. In this situation, the infection can be cleared up by doing a second root canal. When this is done, an apicoectomy is avoided. An apicoectomy can be done in order to fix the problem so that tooth extraction is avoided. Apicoectomy is only done after two root canal treatments that are unsuccessful. For instance, retreatment is not a good option if a tooth has a crown or if it has a bridge. Retreatment of the root canal will require cutting through the crown or through the bridge and may weaken or even destroy it. Apicoectomies are considered in this situation. Apicoectomies are not the same as root resectioning because root resectioning removes the entire root whilst apicoectomies merely remove the tip. How do you prepare for an apicoectomy? Before the apicoectomy, you will have a consultation with your dentist and find out who will perform it. Your dentist, your oral surgeon, or your endodontist can perform this surgery. With advances in endodontic microsurgery, this procedure is best done by an endodontist or a dentist that is experienced in endodontic surgery. Prior to the surgery, your dentist will take several x-rays of the tooth and the surrounding bone. You will be given an antimicrobial mouth rinse, medications to reduce the inflammation, and antibiotics. Your dentist will review your medical and dental history. Your dentist may have to consult with your physician if there are any pre-existing medical conditions that may complicate the procedure. How the apicoectomy procedure done? Your endodontist will cut and lift the gum away from the tooth so that there will be access to the root. 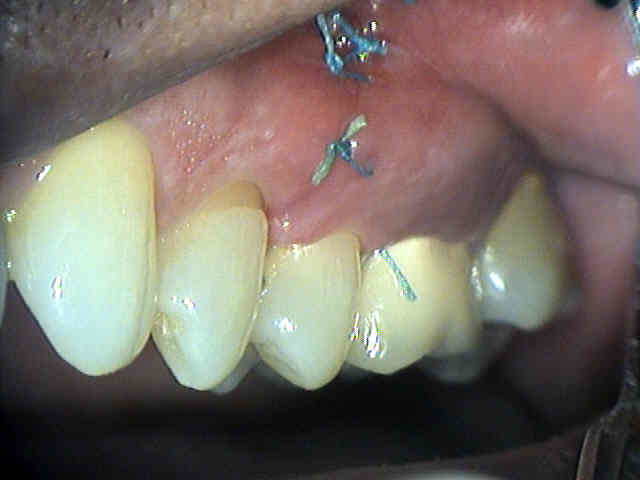 The infected tissue will be removed and then the last few millimtres of the root tip will be removed as well. The endodontist will use a dye to highlight the cracks and the breaks in the tooth in order to determine whether extraction or apicoectomy will be performed. If there are too many cracks and breaks then extraction will be done. In order to accomplish an apicoectomy, the endodontist will cleanse and close the end of the tooth’s canal. The cleaning will be performed using a microscope that has ultrasonic instruments. The light and the magnification will allow the endodontist to clearly see the area. This will increase the chances of the procedure succeeding. The endodontist will take an x-ray of the area before the tissues are stitched back into place. An apicoectomy will take around thirty minutes to one and a half hours. The length of the operation depends on the complexity of the root structure and the location of the tooth. Procedures that are done on the front teeth are the shortest whilst procedures on the lower molars take the longest. What are the follow-up procedures after an apicoectomy? Your endodontist will show you which medicines to take, what you can eat, and what you can drink. You may have to apply ice on the area for about ten to twelve hours after the surgery. You should also get a lot of rest during this period. The area operated on will bruise and it will swell. It may be more swollen on the second day than on the first day. If you want to control the pain then you can use non-steroidal anti-inflammatory drugs (NSAIDs) like Ibuprofen, Advil, and Mortrin. These can be bought over the counter. In certain cases you may be given prescription medication from your dentist. You should avoid brushing the operated area and rinsing your mouth vigorously if you want to heal properly. You should avoid eating crunchy foods, hard foods, and you should avoid smoking. Avoid lifting your lip and examining the area as well. This may loosen the stitches and disrupt the blood clot that is important for recovery. There will numbness in the area for several days or even weeks after the surgery. You should tell your dentist about this numbness but it eventually goes away anyway. Stitches will be removed after a week or two from the procedure and the soreness and swelling should be gone in about two weeks as well. Apicoectomy is a surgery although people say that it is easier to recover from it than root canal treatment. - The treated tooth is commonly VERY tender to touch, biting, tapping or chewing for a few days after treatment. DO NOT CHEW ON THAT SIDE. - Discomfort usually subsides in a couple of days, but may last as long as a few weeks. Improvement will be gradual. - The treated tooth, the injection sites, as well as the soft tissues around the tooth, will feel sore and tender. - If your tooth throbs, keep your head elevated, even when lying down. Refrain from any strenuous activity. - We usually recommend a non-steroidal anti-inflammatory medication such as ibuprofen, Advil, Motrin, or aspirin for at least three to five days following treatment. If you cannot take any anti-inflammatory medication, then take extra-strength Tylenol. If any of the recommended painkillers are not effective relieving the pain, you should call the office. - Take all prescribed medication as directed. - Rinsing the mouth with warm salt water (one teaspoon salt to 8 oz. of warm water), three to four times a day may also be helpful in relieving discomfort. - If you initially feel better, but then get significantly worse two or three days after treatment, you may be experiencing what is known as a "flare-up." This is not a common occurrence, but if it happens, please contact our office. - There is usually no necessary "waiting period" for you to see your general dentist. Unless otherwise indicated, have the tooth restored as soon as possible. Do not wait more than two to four weeks. - We routinely like to perform a follow-up exam at least six months after the treatment. We want to evaluate the treatment outcome, be sure that you have regained normal function with the tooth, and determine the presence of bone healing. There is no charge for this visit. - Do not lift or pull on lips. This may cause tearing out of the sutures. - Some swelling and discoloration is normal and will gradually disappear. - To minimize swelling, use ice pack application on the face, over the operated area. The pack should be used - on for 20 minutes, off for 10 minutes - and should be continued during the first day only. - Starting tomorrow, rinse with warm salt water (one teaspoon to 8 oz. of warm water), as often as possible. Continue this rinsing for one week. - Eat foods that will be nourishing but will not require vigorous chewing the first few days, i.e., eggs, soups, milk shakes, etc. - Slight bleeding, pain or swelling, during the first couple of days, is normal. - Brush your teeth, being extremely careful in the operated area. Mouthwash may be used. - For pain - ibuprofen is recommended. Follow the instruction of the your doctor concerning your medication(s). - If there is an elevated temperature, excessive bleeding, swelling or uncontrolled discomfort, please call the office. - There will be at least two follow-up appointments. The first follow-up will be in a few days to have your sutures removed. The second appointment will be after a few weeks, so that we may evaluate the soft tissue (gum) healing. Additional follow-up appointments may be necessary. What are the risks involved during an apicoectomy procedure? Your endodontist will review the risks of the procedure during your consultation. One of the main risks of the surgery is that it will not work. If this is the case then your tooth may have to be extracted instead. Depending on the location of the tooth, there will be other risks like if the tooth is located in the back of the upper jaw then your sinuses may be affected. Your dentist may have to prescribe some antibiotics in order to prevent infection. You may also have to take some decongestants as well. 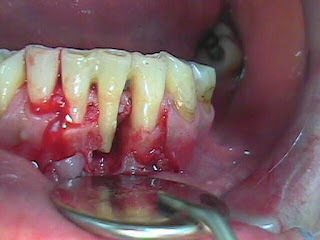 If the apicoectomy will be done on the back teeth close to the lower jaw then major nerves will be at risk. Surgery on one of your back teeth will carry a risk of nerve damage. In order to manage this risk, your endodontist will use x-rays to determine how close these nerves are to the teeth. With this information, the chances of nerve damage are significantly reduced. Apicoectomies are usuallt permanent solutions and they will last for as long as the tooth is there. If there is pain or swelling from a tooth that went through root canal treatment then you should call your dentist as soon as possible. There are times where pimples appear near the tooth after a root canal treatment. The pimple may go away and come back once in awhile. This is referred to as a fistula. It is a sign that there is an infection and it is being drained out. There is no pain in this case. If you have symptoms like pain or fistula then you should contact your dentist. X-rays will be taken and if your dentist thinks that you need an apicoectomy then you should set up an appointment as soon as possible. I will be doing apicoectomy in 3 different teeth on same day. Is this advisable? Multiple dental implant treatment is an ideal option if you are in the beginning stages of failing teeth. Even with good oral care, many adult patients face the loss of multiple teeth as they age. your pictures itself explained about the bad effects of dental health and it is explained very well. so please say about those things in detail. Very Good & Nice Information Given.. Thanks for sharing root canal details. I have an appointment tomorrow for an evaluation of an apicoectomy. Right now though it has swelled up half of my face and I am beginning to get a fever. Can I wait until tomorrow or is it dangerous to have a fever? This is a great post. I like this topic. This site has lots of advantage. Great stuff. One of the informative articles I have ever read. Good information you have shared ..Thank You ! Thanks for visiting the Dental Sky ! In my dental blog, I give you an insight into the fast acting world of dentistry. Information on this site will make you a better and more informed dentist, and also more informed patient and consumer.